USA SIM card unlimited data -When is Thanksgiving 2018 in the US? If you have family that lives in the United States, you have probably heard a lot about–or have even travelled to the United States to celebrate–Thanksgiving. Thanksgiving is a national holiday observed in the United States every year in order to honour the first harvest festival celebrated by colonists in the 1600s. This year, Thanksgiving will be held on Thursday, November 22, and families and friends from all over the United States will gather to share a meal and express gratitude for the people, the privileges, and the opportunities they value in their lives. Thanksgiving was created to commemorate the fall harvest feast shared by colonists and Wampanoag Indians in 1621. When colonists from Plymouth, England arrived for the first time in what would become the United States, they suffered from starvation and disease. It was not until local Native Americans, like Squanto, taught these settlers how to find food and become allies with the Wampanoag Indians that the colonists had a decent chance of survival. When the colonists had a successful harvest in 1961, they celebrated with a feast. They inviting the Wampanoag Indians, who brought food and provisions of their own to share. While people celebrated this event for several years after the initial feast, Thanksgiving was not officially named a national holiday until October 3, 1863. On this day, President Abraham Lincoln gave his proclamation of Thanksgiving, announcing that the holiday would be celebrated every year, originally on the last Thursday in November. Now, every fourth Thursday in November, Americans come together to observe this national holiday. Like the original feast for which this holiday commemorates, Thanksgiving is an event that centres around food and relationships. Typically on Thanksgiving, families will come together in order to share a Thanksgiving meal with one another. They will share a generous meal while giving thanks for their good fortune and spending time with the people that matter most in their lives. As Thanksgiving is a time when people focus on what they are grateful for in their lives, many Americans volunteer or find ways to help the less fortunate on this holiday. Volunteering at a homeless shelter or food kitchen is a tradition in which many families partake on Thanksgiving. During this holiday, many people watch or participate in parades. 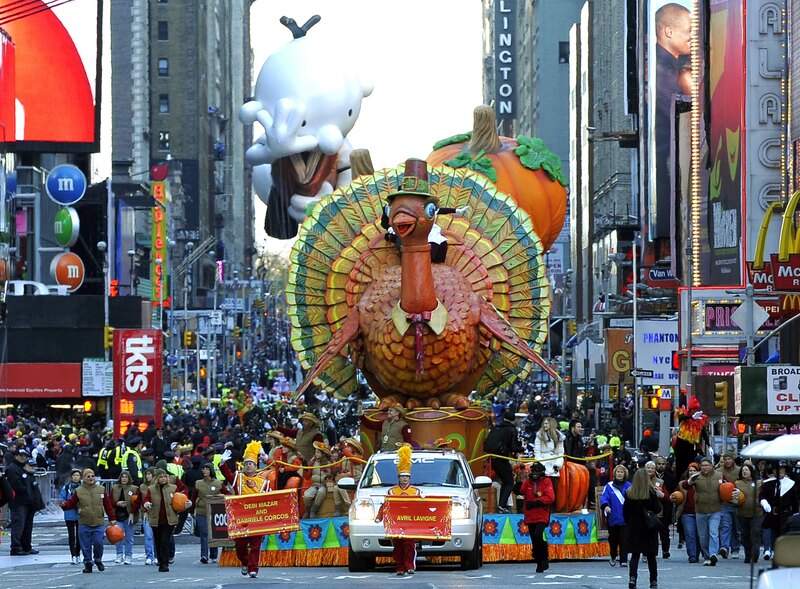 The largest and most famous Thanksgiving parade, the Macy’s Thanksgiving Day Parade features floats, performances by celebrities and Broadway performers, and has millions of viewers nationwide. On Thanksgiving, American football teams from college to the NFL often have games. Watching televised football has become an honoured tradition for many families in the United States. Some families will gather around the television, or set up multiple televisions, so they can watch all the games that will be held on Thanksgiving. While it may seem contrary to the heart of the holiday, Thanksgiving has become a popular day for shopping in recent years. Black Friday, which is always held on the day after Thanksgiving, is a day when many retailers offer special discounts to their consumers, drawing millions of people each year. More recently, businesses have begun offering early bird specials and Black Friday deals on Thanksgiving day, which has made Thanksgiving day shopping a tradition for some American families. While families pick and choose which customs to follow, or even create their own traditions for Thanksgiving, one custom that is almost always observed is having a big, bountiful Thanksgiving meal. On Thanksgiving, families typically eat turkey. In fact, each year, the President of the United States “pardons” a turkey on Thanksgiving, ensuring it is safe from the dinner table. In addition to turkey, common Thanksgiving foods include stuffing, cranberry sauce, green beans, macaroni and cheese, cornbread, and sweet potatoes. Popular desserts include pumpkin or sweet potato pie. Although the food served vary depending on the region, these are the most popular items served on Thanksgiving. Regardless of what activities and traditions people choose to partake in when celebrating Thanksgiving, the most important part of the holiday is partaking in these customs together. Thanksgiving is a time when people express their gratefulness for their relationships, whether these are with friends or family members, and spend time with their loved ones. People drive or fly across the United States to be with the people they care about the most on Thanksgiving. If you are travelling to see your loved ones on Thanksgiving, you are going to want to make sure you are able to get in touch with them. Make sure you have coverage in all fifty states by using the BNESIM Surf USA Unlimited SIM card. This card is the best USA SIM card for tourists because it offers unlimited data in the United States, high-speed internet, and free international incoming calls from anywhere in the world. 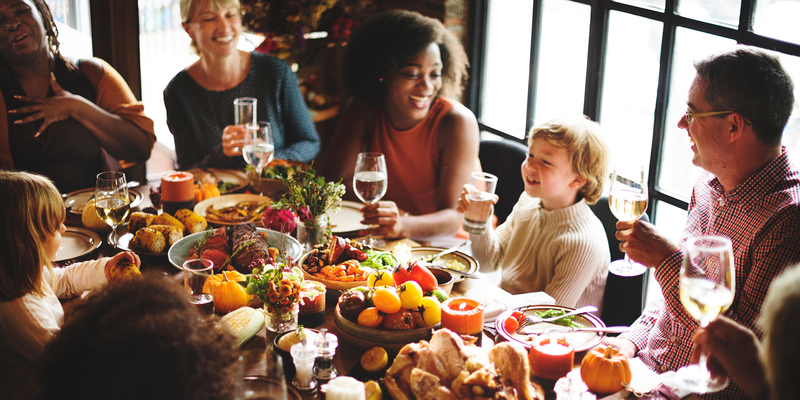 Celebrate Thanksgiving with your family in the United States without the worry of international roaming charges, expiring credit allowances, or unreliable connection. For more information about the BNESIM Surf USA SIM card or any of their other SIM card options, visit BNESIM. Newer Post Black Friday 2018: how to find the best deals and discounts Older Post The ultimate guide to Dubai 2019. Everything you need to know.